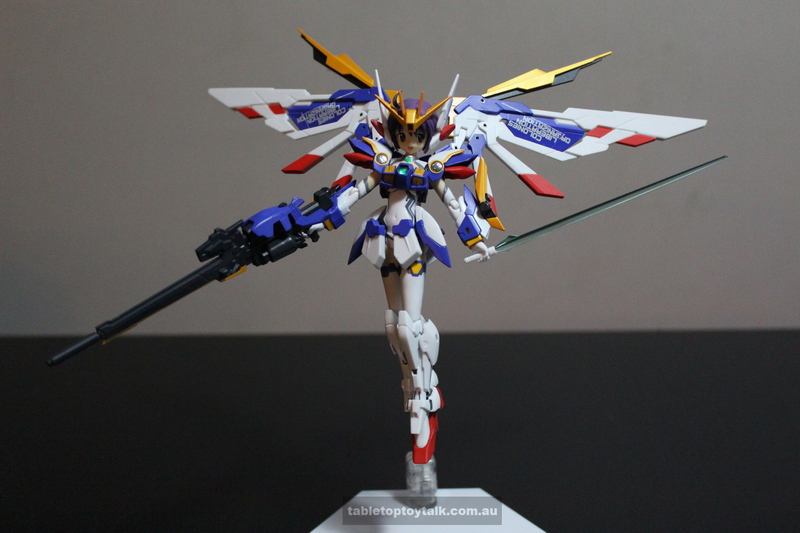 Next up we have Armor Girls Project Mobile Suit Girl Wing Gundam (Endless Waltz Version) (whew!). 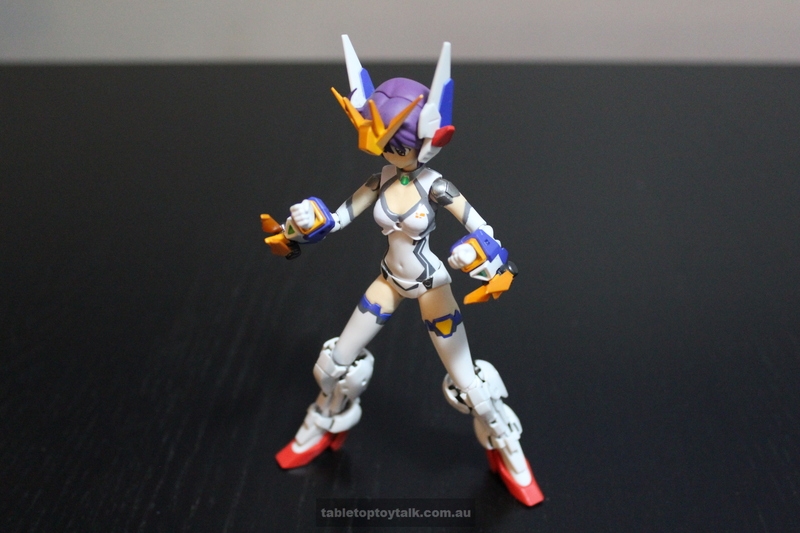 The Armour Girls Project line specialises in the mecha musume style that incorporates cute anime style girls with anime style mecha/robotics. 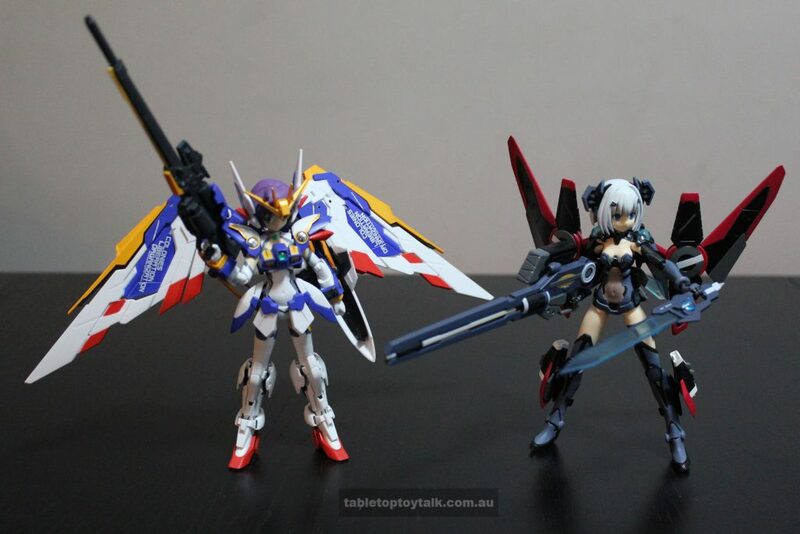 The Armor Girls Project (AGP for short) uses characters from anime shows such as the ever popular Gundam series, Infinite Stratos, Strike Witches, and most recently Kantai Collection. 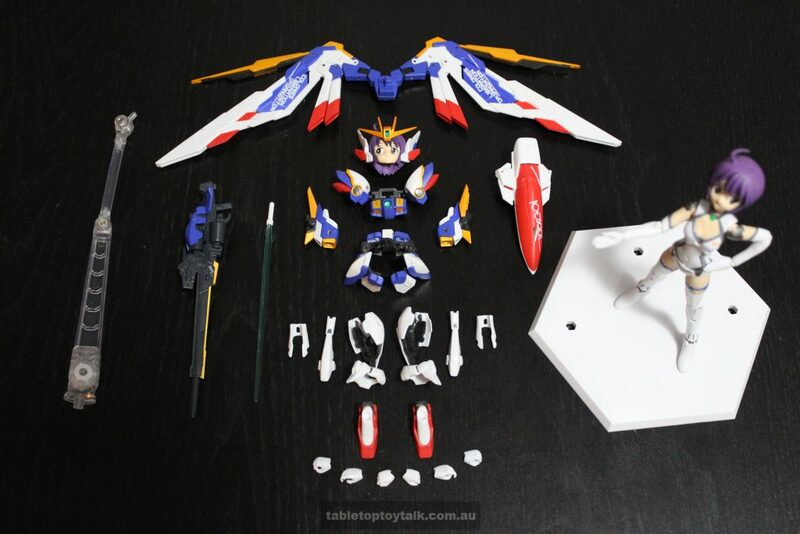 Once you remove everything from the packaging it sort of feels like a model kit (of which the Gundam series is famous for). There are a lot of small pieces and at first it’s not very apparent as to what goes where. Thankfully, instructions are included. 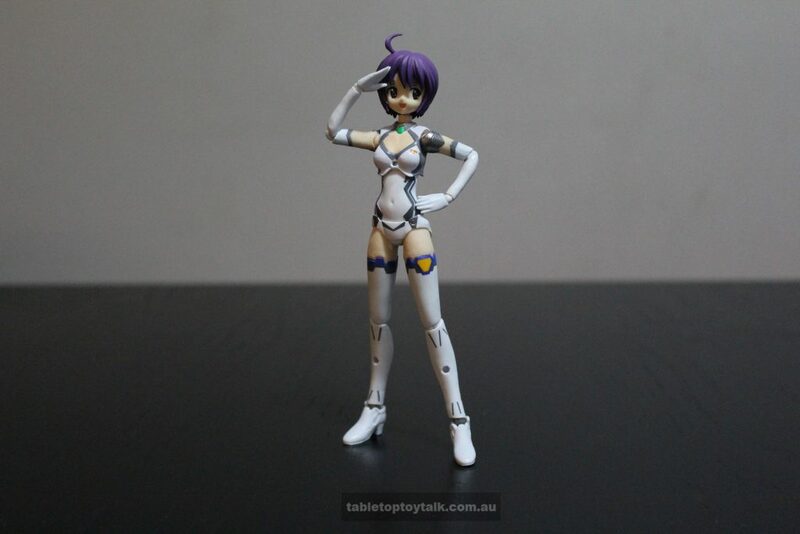 The girl included in the set is certainly cute in her mostly white body suit and short blue hair, and she appears to be poseable enough. 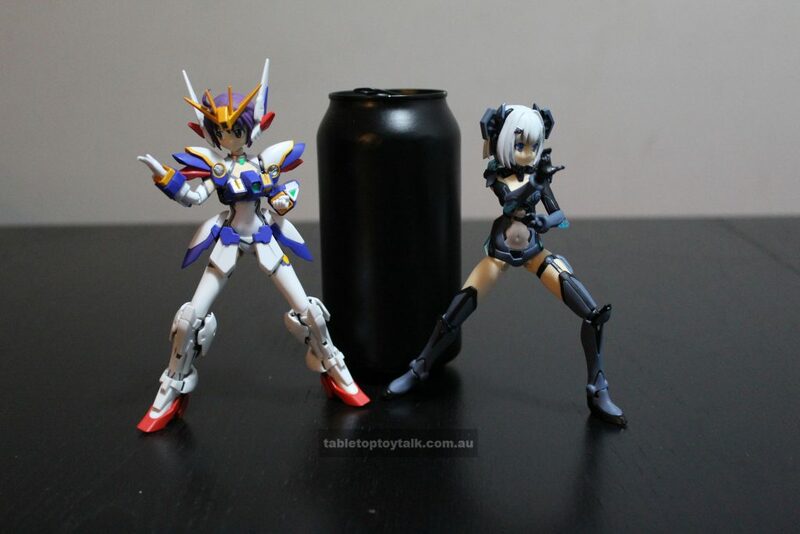 She seems to be around the 1/12 scale which would make her a similar size to Figmas or Revoltechs. All the armour pieces seem to just attach to wherever they’re supposed to go which makes me wonder if they’ll hold their positions well enough. There are a lot of pieces to contend with here so hopefully the photos will do them justice. Apart from the armour pieces, the set includes left and right open hands, closed fists, open fists for holding weapons/handles, and hands for holding guns. Weaponry consists of a long rifle and a beam sword as well as forearm mounted blades and a shield. It appears that the shield can only be equipped on the left forearm. I would also like to add that while the two faces that are included are nice, it would have been excellent if a more “serious” face was included in this set. The base figure is fairly well articulated. The head can do a full 360 turn and has a good left and right tilt. She can look down okay, but can’t look up very far which is surprising with her short hair. 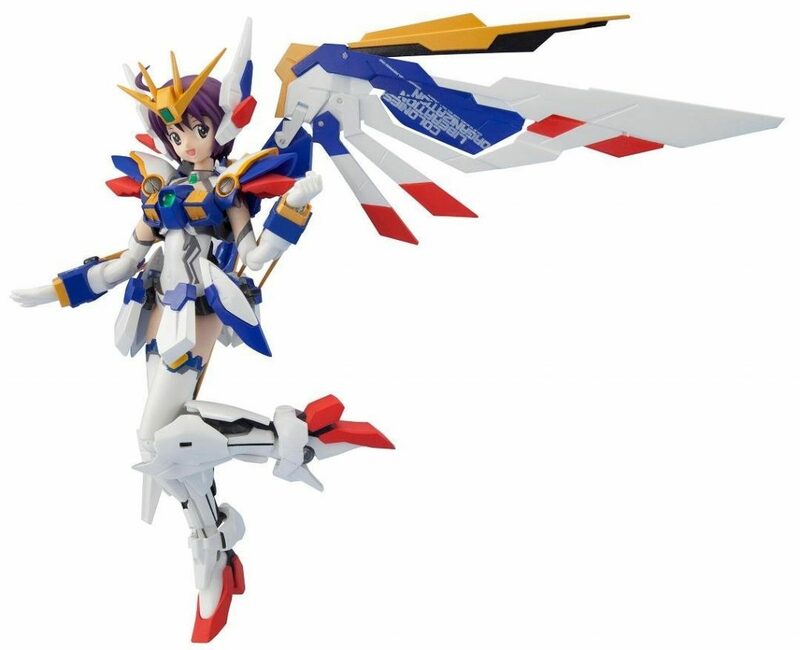 Her shoulders can’t lift up very high but they can rotate all the way around as far as the sculpt allows. Elbows can manage a decent bend and the wrists are able to rotate and bend to a satisfying degree. 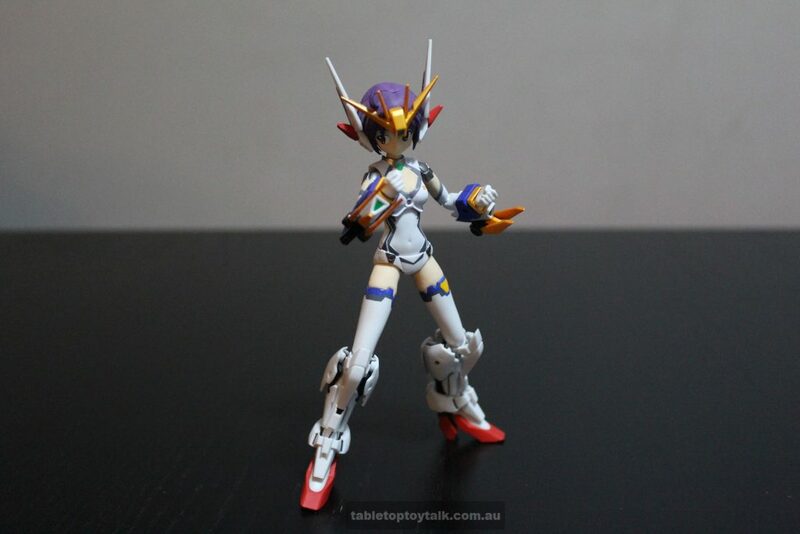 There seems to be a ball joint in the chest that allows a fair twist but only minimal tilting. The hips on the figure that I have seem to be quite stiff. 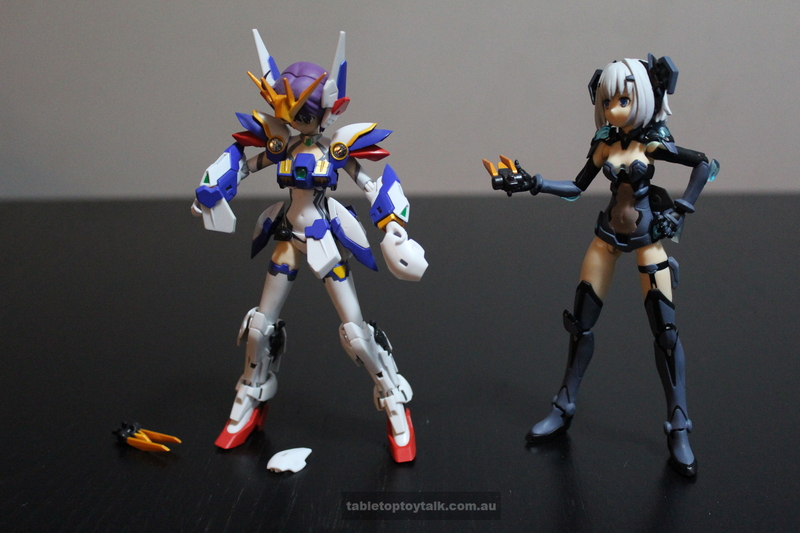 I should be able to get more movement than I’m currently getting, but I don’t want to overly stress the hip joints. 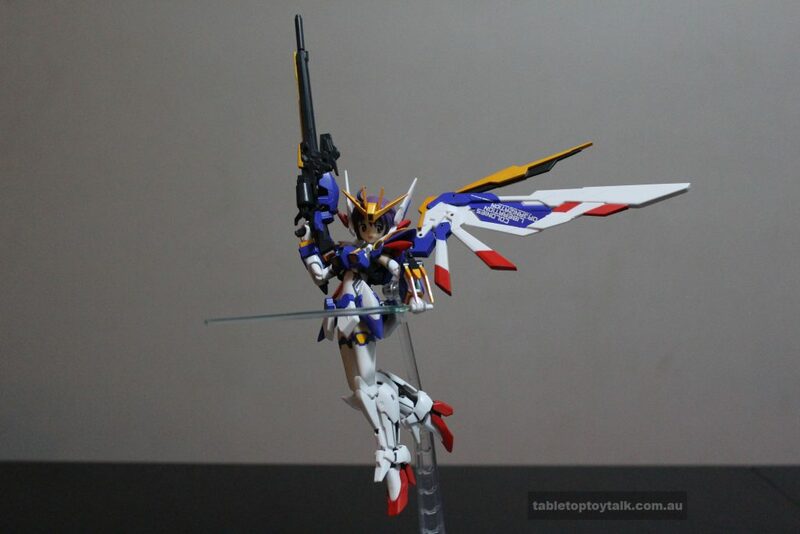 The figure seems to be quite delicate and I wouldn’t want to break the hips by trying to force it too much. Knees and ankles offer a decent range of movement and the joints are firm enough to be able to hold some good poses. 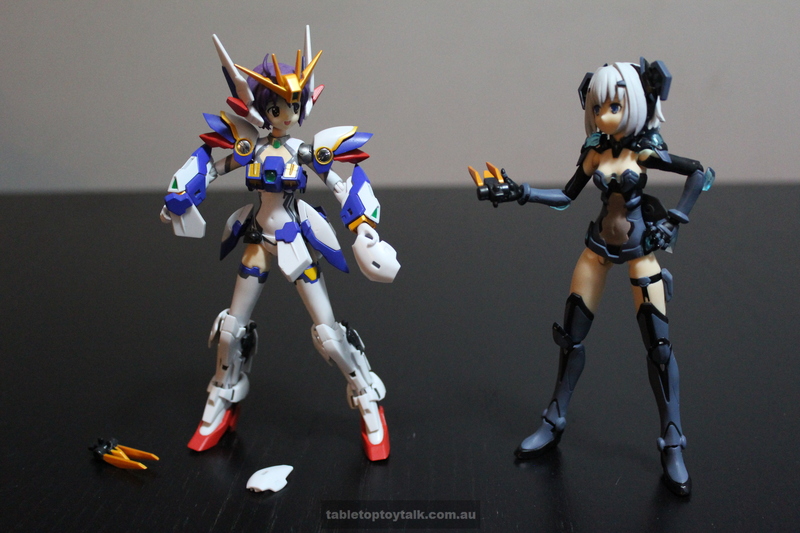 Once equipped, the armour pieces may hinder poseability in some areas. It then becomes a matter of working around it somehow. 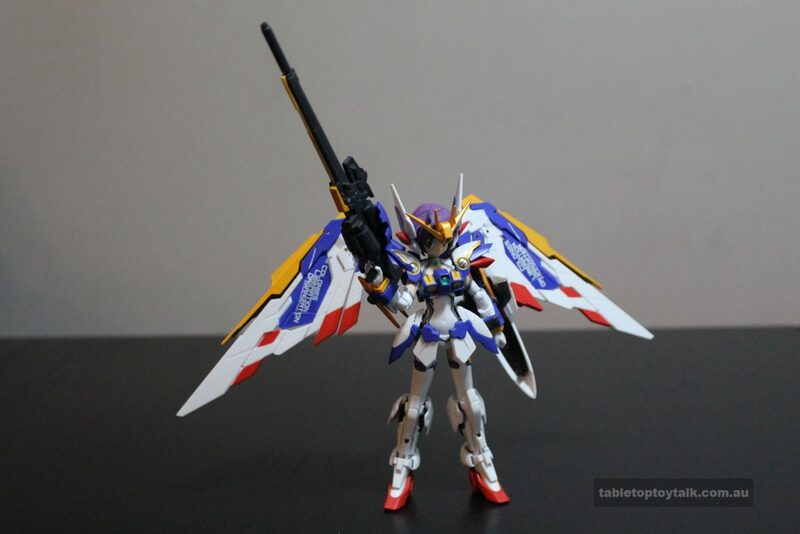 MS Girl Wing Gundam (EW Ver.) 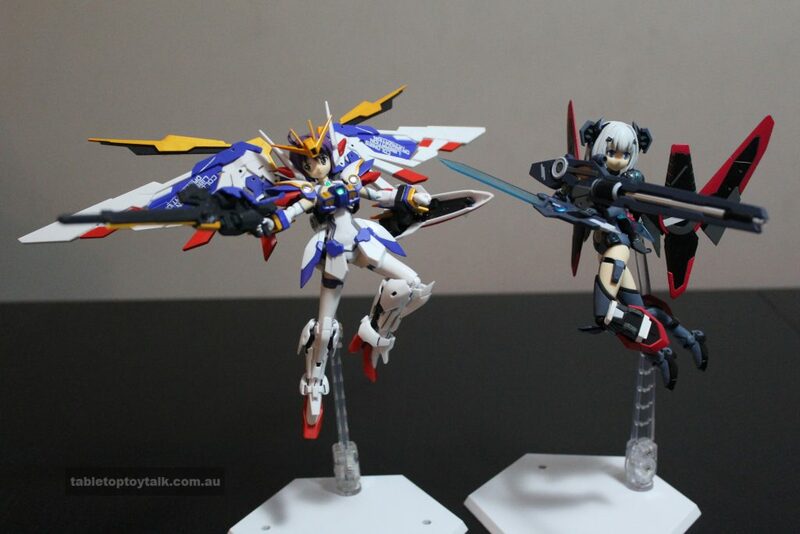 by AGP makes for a pretty good example of the mecha musume genre. It is possible to go for a “light armour” look by scaling back some of her equipment. 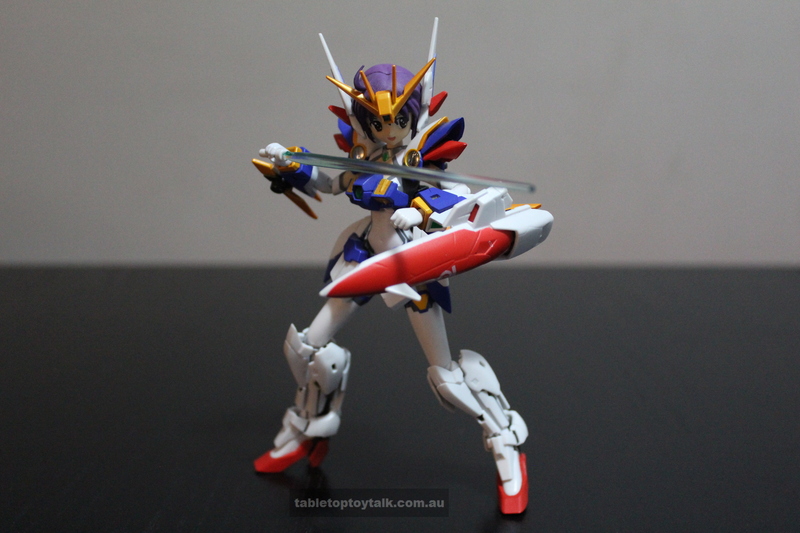 However, unlike Busou Shinki it doesn’t have that modularity with the pieces that allow for interchanging and customising armours. With AGP girls, they appear to be compatible with other figures in Bandai’s Robot Spirits range, which should allow for some mixing and matching at least. One thing that I have noticed about this particular set is that some armour pieces don’t quite connect as well as they should. It’s pretty easy for some pieces to pop off which can be annoying when you’re trying to get a pose just right. MS Girl Wing Gundam is a fine display piece and it has the added benefit of having a cute anime girl figure to pick up and play with at any time. 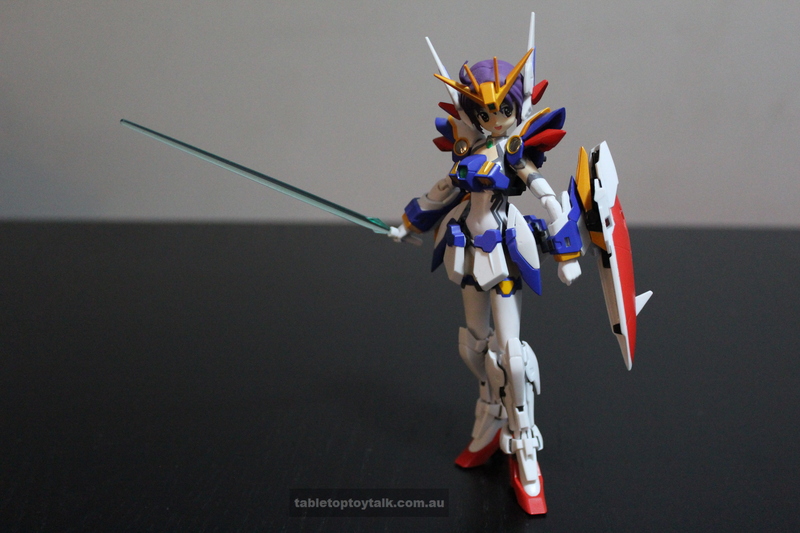 The AGP Gundam Girls are a nice alternative to the usual model kits that are associated with the Gundam series, and they also provide a fresh new outlook on some of the more iconic Mobile Suit designs. She can be found at the link below along with other figures in the AGP range. Yes! I was looking for that!